Creg is a University of Illinois graduate and loved living in Champaign so much that he never left. He has had a long and successful business career in Champaign, developing real estate and businesses over the last 30 years. 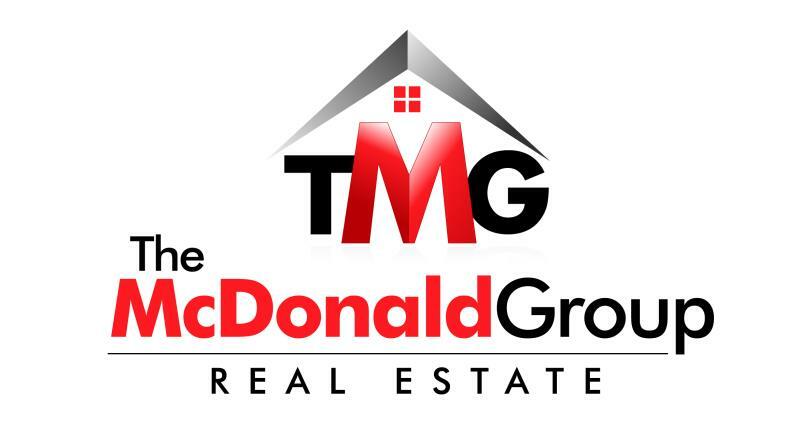 Creg created The McDonald Group Real Estate Company in 2009 and has had the # 1producing real estate team in Champaign-Urbana for the years of 2012,2013,2014. While his real estate knowledge is extensive, his commitment to hard work, honesty and caring for the needs of his clients is what sets him apart. Creg has deep ties to the C-U Community. He believes that “giving back” is of the utmost importance. He has been a member of various charity boards over the last 30 years and most recently has begun donating his time and talents as an auctioneer to charity events and has raised over $500,000. Creg is very proud of his two daughters, Mia and Kelley. He is married to his amazing wife, Liz, who just so happens to work with him. He will admit that he is the second best Realtor in the family. Creg enjoys golf, boating, The St. Louis Cardinals, University of Illinois and high school sports. A graduate of The University of Illinois, Liz has been a resident of Champaign County since 1985. She grew up in Grayslake, a northern suburb of Chicago. She has helped buyers and sellers in Champaign County for over 25 years. Liz specializes in buyer representation, working with a wide variety of clients ranging from U of I faculty to first time home buyers. She has earned designations from GRI and ABR. Liz is married to husband, Creg, and together they have 2 daughters, Mia and Kelley. As a family they enjoy U of I sports, boating, golf and travel. She has been involved with many community organizations including First Presbyterian Church of Champaign, Copper Creek Church, Don Moyer Boys and Girls Club, Champaign County YMCA and various Unit 4 Schools organizations. Amber has been practicing real estate from over a decade working with both buyers and sellers. As a native of Champaign-Urbana, Amber’s path into real estate began when she started working as a receptionist for a local real estate company while attending the University of Illinois. After receiving her Bachleor’s degree in Elementary Edcuation in 2005, she found herself intrigues with real estate and decided to follow in the long line of Realtors and become a licensed agent. After receiving her license in 2005, Amber joined a local team as both a Realtor and assistant/marketing coordinator. She transitioned into a full time agent in 2008 and has been tirelessly helping her clients since. As a native of Champaign County, I have a vested interest in seeing our area grow and prosper. The real estate market has had its challenges the last few years, but improvements are really happening. In addition, the interest rates are remaining quite low. I began my real estate career in 2003 and am proud of the more than four hundred families that I have helped buy, sell or invest in real estate. One of my greatest moments is seeing a dream for a homebuyer become a reality. I am committed to ensuring efficient, complete service for my clients. It is my belief that I am competent, caring and honest with everyone that chooses to work with me. Being with a Brokerage that has the “close knit” family feeling fell right in line with my strong family orientation. I am a mother of two wonderful children and grandmother to four beautiful grandchildren. I will assist you with quite possibly one of the larger purchases of your lifetime as if I were assisting one of my own. John is originally from Decatur, IL and graduated from Millikin University . He moved to Champaign/Urbana in 1988 and was with American Family Insurance for 20 years as District Sales Manager. John acquired his Real Estate Broker license in 2010. He and his wife Tina have been married for 29 years and have two daughters; Morgan and Logan. Both live in Nashville, TN. John attends St. Matthews church and enjoys golfing, hunting, and travel. He is active in Young Life and has been on the board of directors for 10 years.John is a prior school board member for Montessori Schools in Savoy and he's an avid St. Louis Cardinal and U of I sports fan. Sophie Martinkus is a licensed real estate broker. Sophie is a graduate of the University of Kentucky where she received a Bachelor of Arts degree in Psychology, was a member of the Delta Beta chapter of Delta Gamma and an avid CATS fan. (Although, she is now slowly converting over to Orange and Blue!) After graduation, Sophie launched her career in Chicago, Illinois working for fashion retailers such as Abercrombie & Fitch and Michael Kors. During her five years with Abercrombie & Fitch, she was granted the opportunity to spend a year and a half working in Europe and Asia where she successfully opened 15 multi-million dollar international stores in 10 different countries. Her experience in international retail store development is what fostered her strong attention to detail and her ability to build long lasting relationships. In 2014, Sophie became an Assistant Property Manager for Acadia Realty Trust, a real estate investment trust based out of New York State. She managed 12 commercial real estate properties including two shopping centers and 10 urban mixed properties. In 2015, Sophie relocated back home to Champaign and is now a part of the TMG family. As an agent for buyers and sellers, Sophie will work tirelessly for her clients to ensure they meet their goals and enjoy the experience along the way. Mike was born and raised in Champaign. He's extremely passionate about the area and loves to call Champaign home. Mike became a licensed real estate agent in 2014. He has a 20 year career at the United States Postal Service in Champaign. Mike is extremely familiar and knowledgeable with the Champaign area. He takes a lot of pride in helping others make great decisions in real estate purchases. Please call Mike if you are looking to buy or sell real estate in Champaign County area. Taylor joined The McDonald Group after specializing with home buyers for 2 1/2 years at another local real estate company. Taylor joined the community several years ago, receiving a bachelors degree in Media Studies from The University of Illinois in 2015. She is excited to bring her competence, knowledge, enthusiasm, and passion for helping clients with both the buying and selling aspects of real estate. Dawn became a Realtor after 25 years in Hospitality with Hilton Hotels, the Champaign County Convention and Visitors Bureau and US Airways. Helping people while learning about them and exercising patience is a natural thing for her. She has in-depth knowledge of the Champaign County community and also the surrounding Vermilion County. She is excited to assist buyers and sellers in the home process.